What category of food do you end up throwing out the most? If it’s produce, you’re not alone. The average household ends up throwing out 22 percent of the fresh fruits and vegetables they buy. That’s more than two of every 10 strawberries! Most fruits ripen best at room temperature. Once ripe, store fruit in the refrigerator in a plastic bag according to the times in the chart. 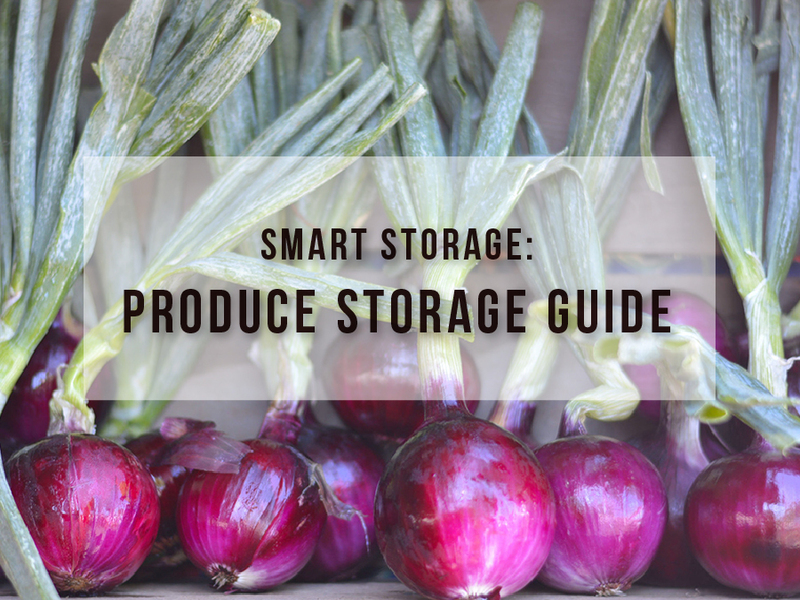 Berries, cherries, grapes and figs need to be refrigerated immediately. Discard any moldy berries before refrigerating and store loosely in a shallow container covered with plastic wrap. 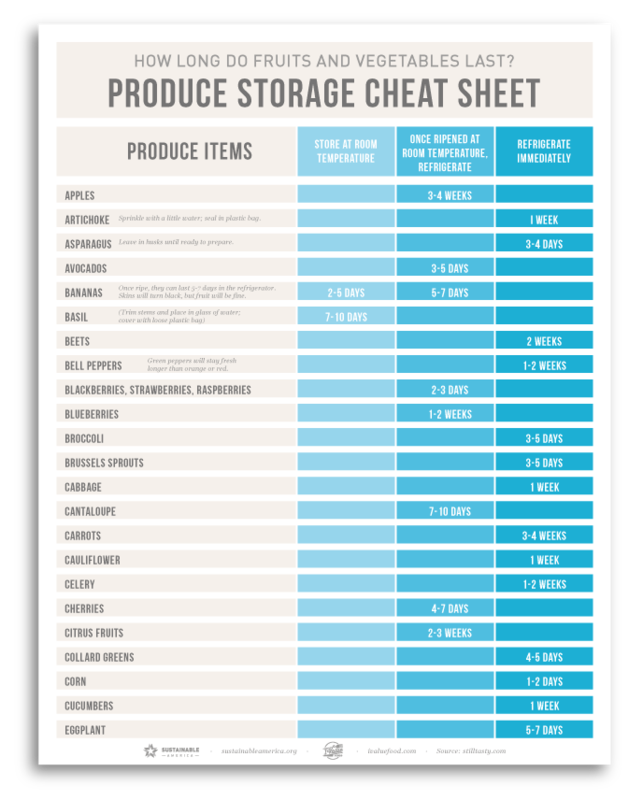 For vegetables, remove or loosen tight bands and store in plastic bags, unless otherwise noted in the chart below. Separate root vegetables (radishes, beets, turnips, etc.) from their greens and store each separately in plastic bags. Most greens from root vegetables will stay fresh about 3 days. In general, avoid washing fruits or vegetables until ready to eat. 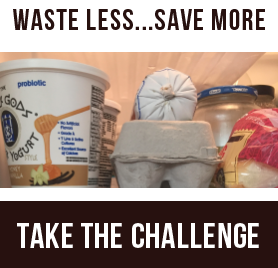 However, if having a bowl of already cleaned lettuce in the fridge helps you use it up more quickly, do what works for you. Once washed, dry thoroughly and store in an airtight container lined with paper towels.